Passionate about sustainability and aiming to start a career in strategy consulting, I couldn’t believe when I received an email from the London Business School Career Centre, inviting me to apply to the Accenture Strategy World Economic Forum Internship to work with The Circulars Award team. I just started the first term of my MBA program, and I was not quite prepared for the case-study interviews that would be part of the process. But this opportunity was just perfect for me, and I could not let it go. So, I contacted previous Accenture interns and consultants and prepared as best I could. My efforts paid off. You can imagine how excited I was when I received the offer—I was over the moon! This internship is giving me the chance to take a deeper dive into just how far the circular economy’s impact can reach across the globe. I’m also learning how companies are using disruptive technology to place circular economy in the centre of their strategy. When I first started the project, I reviewed the public sector and multinational category entries. This fascinated me, as I believe companies and the public sector need to work together to develop innovative solutions to accelerate the change we need to protect the planet. Then, I benchmarked the circular strategy of one of the multinational finalists, a global hygiene and health company, to analyse its innovation, impact, scalability and potential compared to other industry leaders. I also met with the company’s sustainability leaders to learn more about their initiative. Finally, I helped write a blog about sustainable packaging for the World Economic Forum. Even with my sustainability background, it was amazing how many new insights I learned during these few months, especially regarding new technologies that are helping reduce current processes’ negative environmental footprint. Besides the work itself, I loved going to the Accenture office once a week, having lunch with some of the team members and getting the opportunity to attend practice meetings and presentations. During the weekly sustainability lunch meetings, it was exciting to learn about client projects and Accenture Development Partnerships (ADPs). An ADP is a not-for-profit corporate social enterprise that offers consulting services to international development organizations, such as non-governmental organizations (NGOs), to help them achieve innovative solutions. During one ADP meeting, they discussed projects related to gender equality—a topic I am very passionate about. As I was also going through the intense first term of my MBA, Accenture’s friendly work culture helped ease the challenge of balancing both responsibilities. Not only did I receive support and workplace flexibility, I was also invited to the team activities, such as dinners and ice skating! It’s a pleasure working with such passionate, smart, hardworking and friendly people. Now, I am looking forward to seeing the Circulars Awards come to life at the World Economic Forum Annual Meeting in Davos, Switzerland. I am grateful for this once-in-a-lifetime opportunity. Jump-start your career and innovate with the work you do every day. 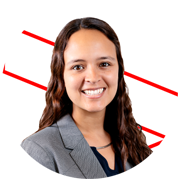 Find your fit with the Accenture Strategy team. Copyright © 2019 Accenture. All rights reserved. Accenture, its logo, and High performance. Delivered. are trademarks of Accenture.